Fans of winter rejoice! Feel the crisp air fill your lungs and the chill pinching your cheeks to a perfect rosy red. It may come as a surprise that some of us actually travel to the cold and not escape from it! Whether it’s hitting the slopes, heading to the farthest northern or southern points, or visiting a chilly European city, there are so many diverse, adventurous destinations for people who love winter. I’m an unabashed fan of winter, always looking for a new place to explore be it brisk or downright polar. 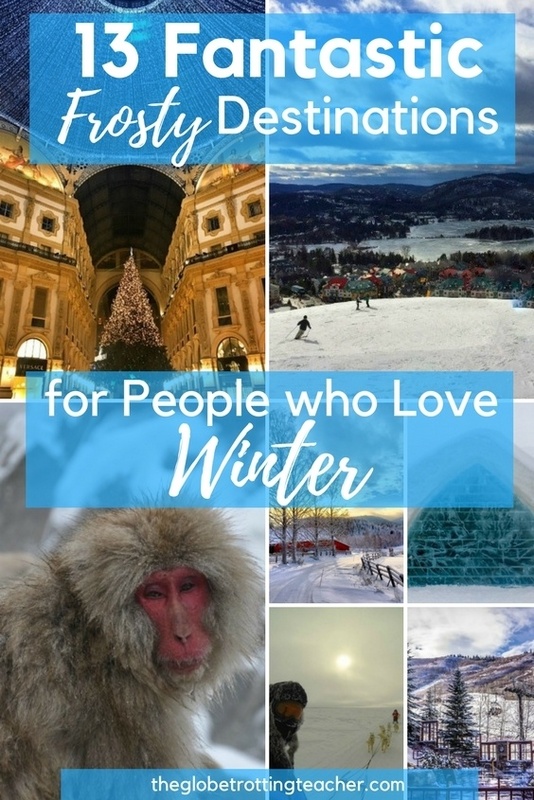 So, I asked some of my fellow travel bloggers to share their favorite winter destinations. Consequently, I’m packing my bags and I bet you will, too. 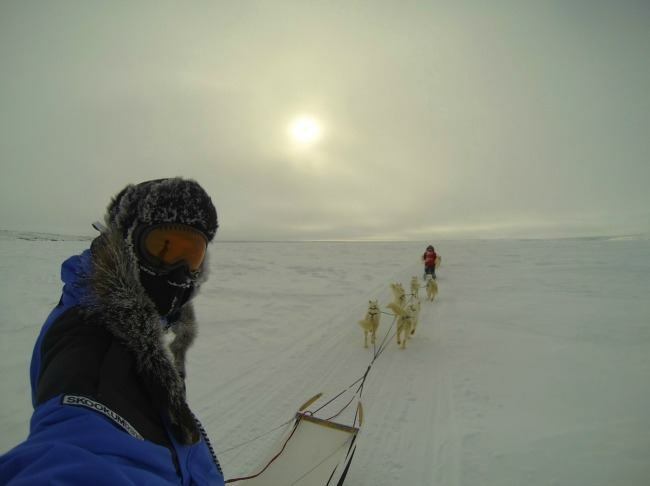 Head into the Arctic with your own team of huskies. 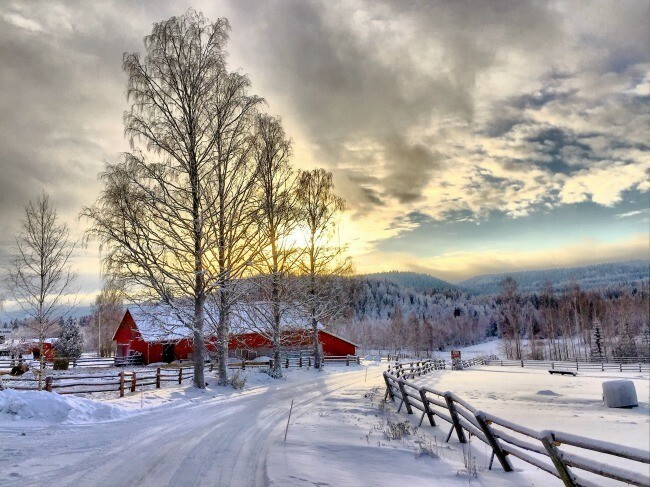 Immerse yourself in the winter wonderland of northern Finland. Or mix with the locals for an off-peak visit to Milan. After all, winter is short and the cold is fleeting. You’ve got to soak it up while you can! 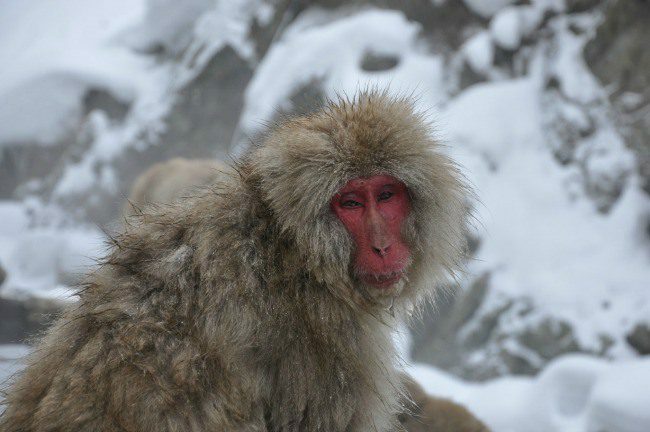 My favorite winter destination is Jigokudani Yaen Kōen (aka Jigokudani Snow Monkey Park), located near the town of Yamanouchi in the Nagano prefecture of Japan. The main attraction at the park is a group of Japanese macaques which play in the snow and hang out in hot springs just inches away from visitors. Jigokudani Snow Monkey Park is open year round but winter is the best time to visit and photograph these cute monkeys as everything is covered in snow making them true “snow monkeys”. Watching the snow monkeys and their antics is delightful. Some monkeys keep jumping in the hot springs, some chase each other, some cuddle to keep warm, some groom each other and some just relax and enjoy a soak. After visiting the snow monkeys, I recommend spending some time exploring the nearby town of Yamanouchi and the surrounding snow covered area. In addition to taking in the beauty of this winter wonderland, other activities include taking a soak in an onsen yourself or skiing at one of the nearby ski resorts. Budapest, just as the rest of central Europe is quite cold in winter, therefore, it’s not usually a first choice as a winter destination. Nevertheless, there are so many things to do in Budapest, and some of them are even greater in winter. Probably the greatest joy in Budapest in winter is visiting one of the many thermal baths you can find there. These baths don’t only offer warm pools, but they are architectural beauties themselves. 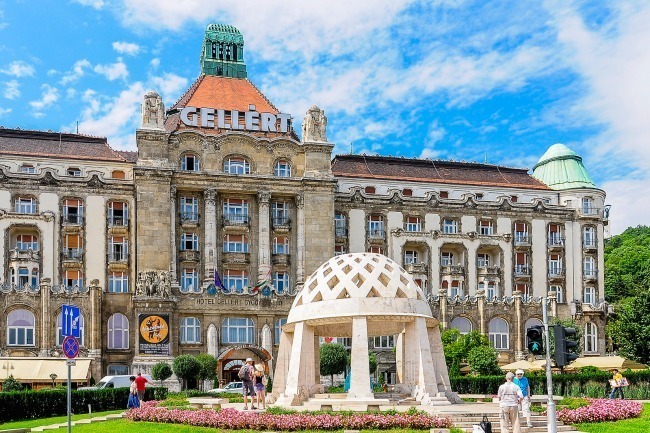 The most popular are the world-famous Gellért Bath, which is also a hotel and Széchenyi Bath functioning in a Baroque complex near the City Park. It’s a really unique experience to take a bath in one of the outdoor thermal pools, while outside the pool it’s freezing and everything is covered with snow. Another great activity that you can find is the huge skating rink, the City Ice Rink, just in front of the precious Vajdahunyad Castle. When you start feeling cold, drinking some tasty mulled wine will warm you up for sure. If you visit Budapest during the holiday season, you must also visit one of the Christmas markets with a nice atmosphere, beautiful lights, and great food. If you’re planning a winter excursion to Switzerland this winter, you have to include a stop at St. Moritz! The beautiful resort town, located in the southeast corner of the country, is ripe with history, having hosted the Winter Olympics in 1928 and 1948! It is the perfect winter destination and has something for everyone. While it is known primarily for its winter sports, there are a range of attractions and leisure activities available, as well as some great shopping venues. St. Moritz is must-visit for any skiing and snowboarding enthusiast, as it is consistently considered the top resort in Switzerland. If you prefer a more relaxing adventure, the snow-shoe trekking tours are a lot of fun! Head into town after a day on the slopes and check out the great restaurant scene (I recommend stopping for a hot chocolate at Cafe Hanselmann…or an eggnog!). 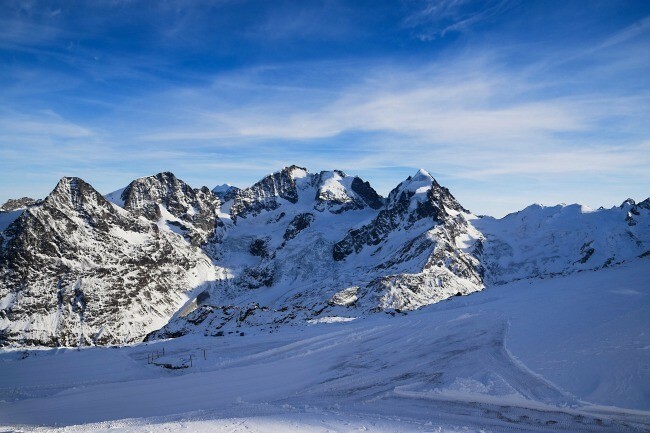 And, if you’re lucky enough to be there in February, you’ll be able to check out the famous “White Turf” horse races that take place on Lake St. Moritz itself! We snowboard and snowshoe whenever we can, snow camp and snow kite on occasion. We love to try new outdoor activities, and one of our dreams was to mush our dog sled. That led us to Inuvik in Arctic Canada for a week full of winter adventures. We learned to lead our team of white Huskies dogs in perfect health conditions. The highlight of our Arctic experience was camping with the dogs on the tundra 50 km / 33 miles deep in the wilderness. We rode through white horizons, over frozen lakes and unmarked trails, which made us feel like pioneers of time past! That night, around the fire pit, we were lucky to witness the Northern Lights. Though these were quite light, the view of the floating green shades was fantastic. Other activities during our time in Inuvik included watching the winter migration of a reindeer herd, wild animals but managed for the benefit of the local Inuvialuit population. We admired them relatively close as we followed them by snowmobile. Last but not least the Muskrat Jamboree festival was a fantastic opportunity to admire and learn about Inuvialuit or Western Canadian Inuit traditions and culture, as we saw them performing traditional dances and drumming, and competing via snowmobile or dogsledding races. This Arctic adventure was a once-in-a-lifetime experience! Although I usually prefer visiting a new country, Vienna is the place where I return at least once a year. 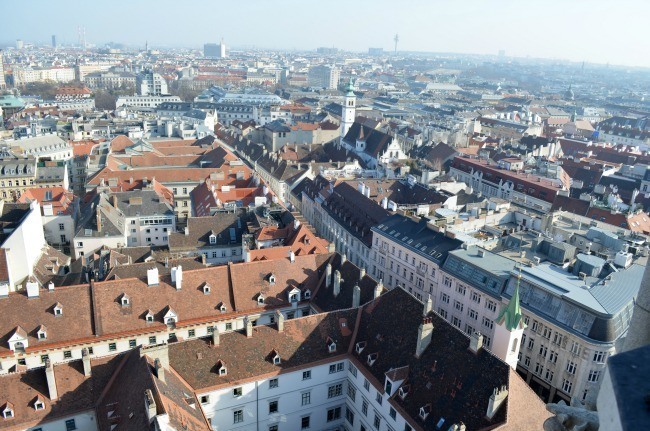 There is always something new to visit in Vienna– it’s city of culture and great architecture. Winter in Vienna is amazing–especially during advent. There are lots of Christmas markets to explore and places to have hot wine. The city center is a labyrinth of historical streets, parks, and cafés. In winter, it can sometimes get pretty cold, so I totally recommend spending part of the day indoors. You can pay a visit to one of Vienna’s famous museums (Check out Time Travel Vienna. It is a lot of fun!) or enjoy some wellness at the So Spa at the Sofitel Vienna Stephansdom. 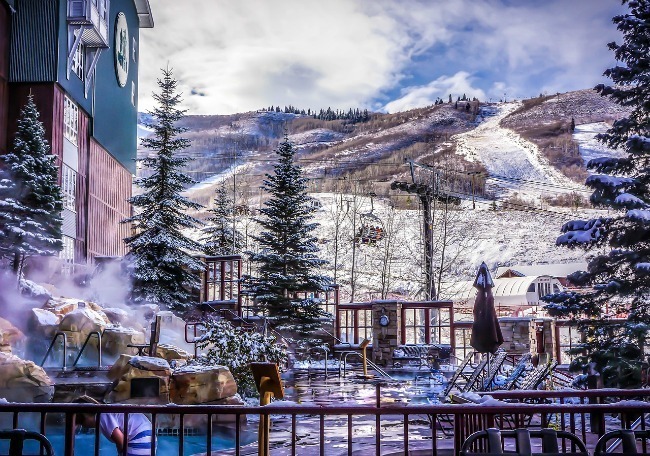 For an amazing winter destination, I recommend Park City, Utah. It is convenient to get to from the airport and has tons of winter activities to enjoy like skiing or snowboarding at the largest ski resort in the United States, as well as snowshoeing, snowmobiling, tubing and much more. One attraction that really sets it apart is the Olympic park where the adventurous can give bobsledding a try, going down one of the Olympic runs with a skilled bobsledder as part of your team. For movie lovers, you can’t beat the Sundance Film Festival. At the end of each January, stars descend on Park City to debut their new independent films. This provides a perfect opportunity to see the stars and watch award-winning films that do not make it to most theaters. Svalbard is an archipelago located north of Norway, in the Arctic Circle. 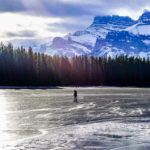 As you can imagine, it gets quite cold there, making it an ideal destination for winter frolicking for a few reasons. Svalbard is so far north, that it gets no sunlight from October to March. Instead, it enters a period of the year known as the “Polar Night” (which is seen in a blues festival, in a typically twisted Nordic fashion). Who needs sunlight, when you can see the northern lights? You’ve got a good chance of witnessing them that far north, at this time of the year. Other winter activities include dog sledding and snowmobiling. Svalbard is also home to 3,000 polar bears, so keep an eye out, as there may be bears about! 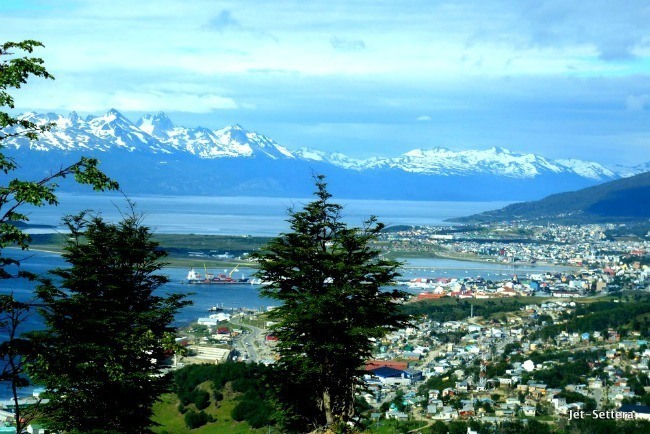 Ushuaia, Argentina in Patagonia is the southernmost city in the world. 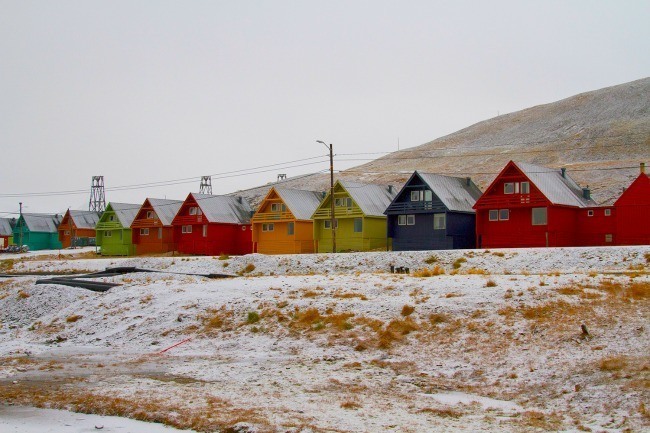 It is the closest town to Antarctica and cruises that travel there depart from the city. I visited Ushuaia in the Summer and the temperature was between 0-3C and it was snowing. During the Winter, it snows heavily and it gets even colder. It is the ideal place for winter activities. It’s also known as the Switzerland of South America, not only because of its beautiful mountains but also because of its high prices. Skiing, snowboarding, dogsledding, and snowmobiling are popular winter activities here. It is also fun to take a cruise on the Beagle Channel to see the penguins and the sea lions and the southernmost lighthouse in the world. Adventurous travelers should do some hiking in the Tierra del Fuego National Park to discover some beautiful lakes and mountains. Try the local king crab (centolla) when visiting the city. It’s a local specialty. They make empanadas stuffed with the meat of the king crab. When it comes to Finland, there is something quite magical about the wintertime in this part of the world. 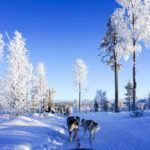 North Karelia is located in the east of Finland, close to the border of Russia and makes for a perfect winter destination to discover. Finland has thousands of lakes. In the wintertime, they freeze over and locals turn them into Snowmobile tracks. You can hire local guides who can take you out onto the frozen lakes on a snowmobile safari. It’s very popular in this region. If you’re after something a bit lighter, you can always screw a hole in the ice below and try a spot of ice fishing. 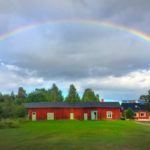 When the sun starts to set, make your way into a cozy Finnish cabin and surround yourself by the fire and the wonderful nature that North Karelia has to offer. For the brave, you can end the day in a traditional Finnish wood sauna and go for a refreshing ice dip. 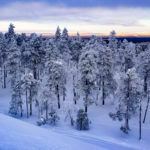 North Karelia is also home to Koli national park, which offers stunning views from miles around and is even more so magical in the winter time. Enjoy exploring Finland and North Karelia in the winter time! 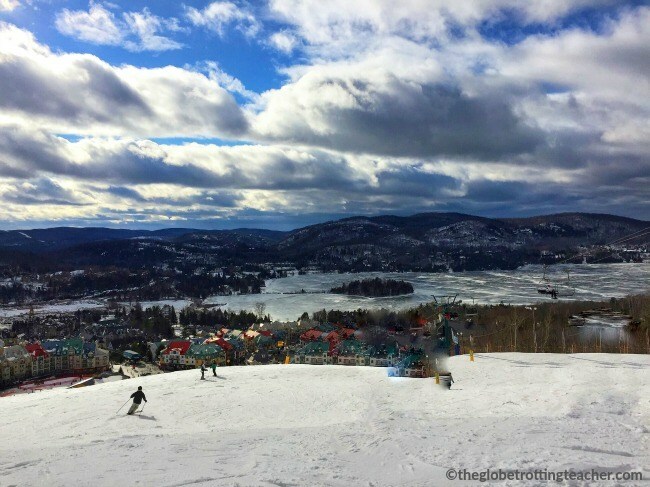 Located in the Lauretian Mountains in Eastern Canada, Mont Tremblant is an hour and a half from the Montreal-Trudeau International Airport. It’s a perfect ski getaway in the northeast, consistently ranked #1 of all east coast ski resorts. One of the great things about Montreal is feeling like you’ve crossed the Atlantic and landed in a charming European ski village. Locals speak both French and English. And, visitors travel to Mont Tremblant from all over which makes it feel even more international. Mont Tremblant’s ski village is a pedestrian-only zone, except for the paths that allow skiers to glide right back to their hotels. There are quaint shops, a general store for necessities and snacks, as well as bars and restaurants to fit everyone’s tastes and budget. The slopes are well groomed and long. As a beginner, it’s one of the few places you can go to the top of the mountain and still have a gentle way down. Try not to get distracted, though, by the gorgeous views of the frozen-over Lac Tremblant nestled between a forest of evergreens. I might be biased, but I think my hometown, Milan, is amazing in winter. It does get cold – not as cold as northern Europe, but we do get awesome clear skies, and even snow sometimes. I think Milan during Christmas time is special. 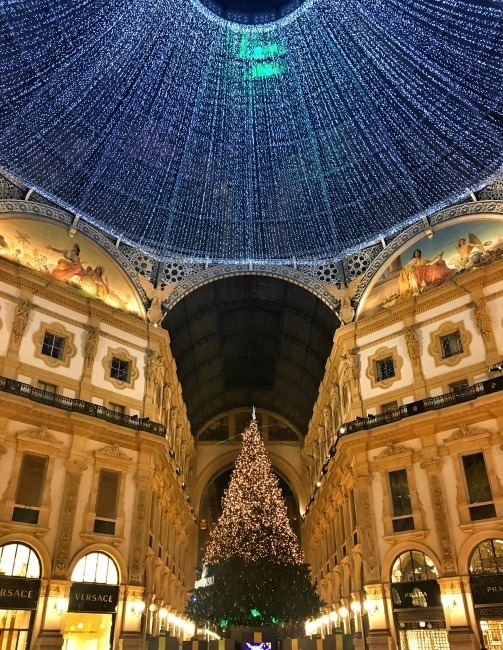 Just in front of the Duomo, you’ll find a lovely Christmas market, and the Galleria is all covered in fairy lights. Early January is ideal for shopping as that’s when the sales are on and you may be able to get a bargain even in Milan’s famous boutiques. And all through winter, tourists are few and far between, meaning hotels are cheaper. There are also many free things to do in Milan, so you can visit even if your budget is small. Whistler is a true winter wonderland, and one of my favorite winter destinations. 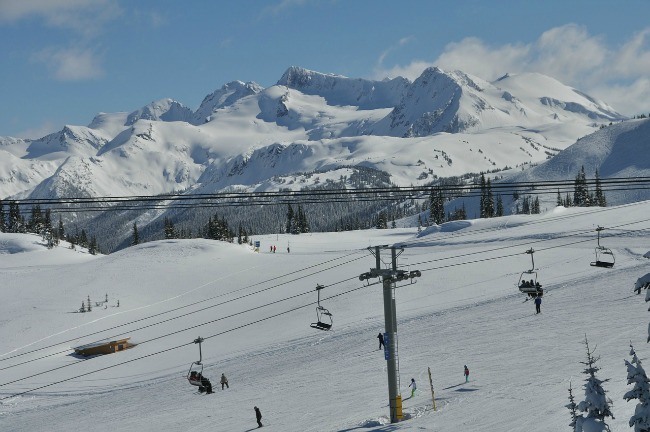 Whistler is located in British Columbia, Canada, just a few hours north of Vancouver and is one of the largest ski resorts in North America. There are two mountains side by side, Blackcomb and Whistler. The conditions are some of the best in the world. You can even go between the two mountains on the record-breaking Peak-to-Peak gondola. Even if you’re not a skier, Whistler has so much more to offer. Whistler Village, located between the two mountains, is a pedestrian-only mini-city that is packed with restaurants, bars, and loads of shopping. There are a dozen other winter activities available nearby too, like dogsledding, snowmobiling, winter ziplining and snowshoeing. Ljubljana is a wonderful place to visit in any season, but I think it’s really pretty during the winter. I don’t mind the cold weather, so I may not be the best person to judge. Yet, even though it may be cold, it is packed with places to visit and so many lovely coffee shops, restaurants, bakeries, bars, and pubs that there’s always a good place to escape the cold and warm up. One of the things I highly recommend doing there is a food tour, that goes around the main sights in town, explaining the history and culture through the local cuisine. It is a great way to taste some local specialties and delicacies and to drink some great wine and the nicest local beers. I also recommend going around town to find some of the best street art- there is a whole part of town, called Metelkova, that has been turned into an amazing art gallery! And, just because you can never have enough winter…Let’s have a bonus 14th winter destination idea! There are few cities that celebrate the cold quite like Quebec City does. It is in its icy glory from December through March with fresh maple syrup candy for sale on the streets of Old Quebec (Vieux-Québec), ice fishing off the banks of the St. Lawrence River behind the Old Port Market (Marché du Vieux Port), and activities like cross-country skiing, sledding and snowshoeing just a short drive from downtown. 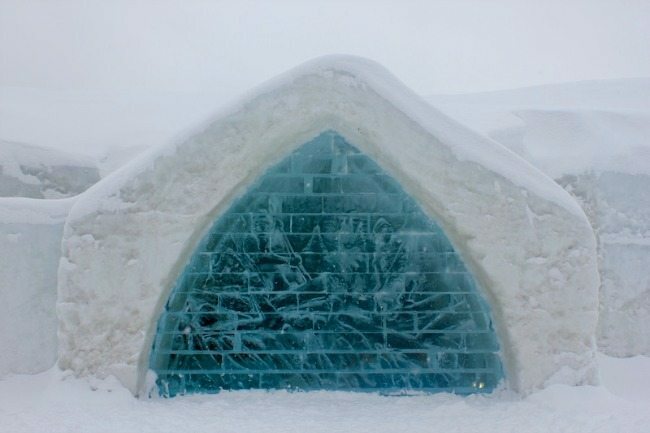 Starting in early January, you can pay a chilly visit to the only ice hotel in the Americas, the Hôtel de Glace – the brave can spend a night in one of its 44 rooms and themed suites. At the end of January is when the two-week Quebec Winter Carnival (Carnaval de Québec) kicks off. One of the world’s largest winter carnivals, it features ice canoe racing, snow sculptures, and parades led by mascot Bonhomme Carnaval. There’s even the opportunity to take a “snow bath” in your bathing suit! 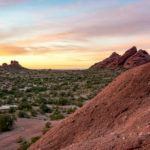 So, have you visited any of these winter destinations? Where’s your favorite frosty destination? Save this article for later! Pin it to your Pinterest Travel Board. 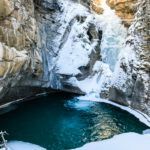 wow, i love winters and this article has definitely peaked my interest in visiting all these places especially Hungary and Finland. All of these look gorgeous! Gosh, what great destinations and what gorgeous pictures. Excellent choices, though my vote would go to the Japan and Budapest because they have hot springs. I’d love to see a snow monkey bathing in the springs! Whistler’s a great choice too. In fact, they all sound unique. Those snow monkeys are such comedians, Carol! I love how they groom each other and truly look relaxed as they soak in the hot springs. Budapest is always a good choice, too! I confess… i don´t like winter. I´m a fan of sun and hot. But i admit the landscapes of the photos are amazing!!! You are not alone that’s for sure! 😉 Glad you could appreciate the photos and not be too chilled. So many great winter destinations. I’ve been to a handful of them, and love spending time in those places, whether it’s winter or summer! 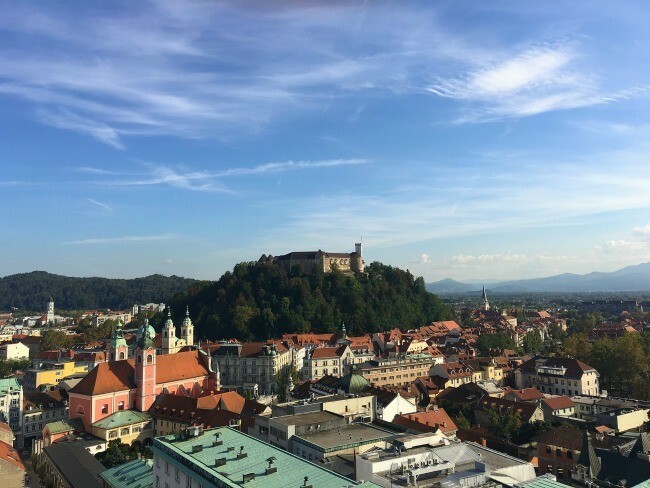 I am a huge fan of Slovenia in general, so Ljubljana would be my top pick! I want to go to the snow monkey park in Japan so bad! While I would love to see Japan in the spring or fall, I want to make a special winter trip just for that. I’m a weird mix. 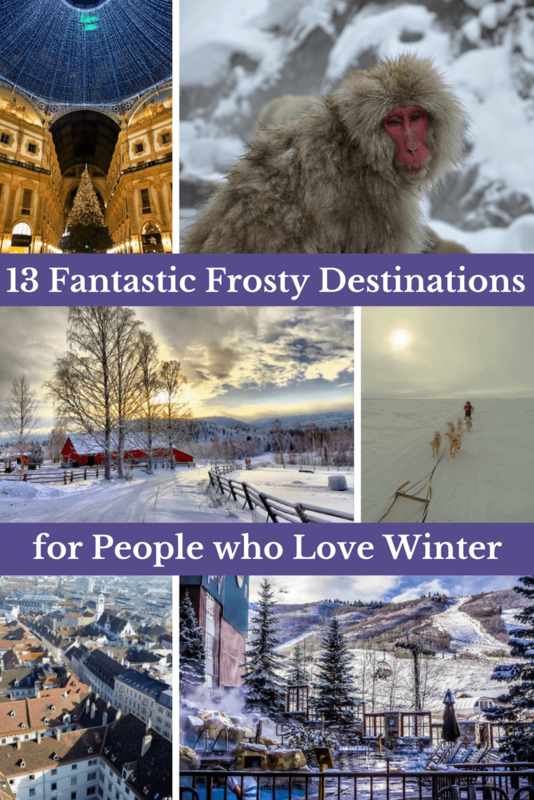 I hate the cold but love the snow 😀 Still, I’d brave the cold for all the destinations on this list, just to enjoy a proper winter wonderland. So… I’m not a fan of the cold! I’m a total Florida girl. With that being said, I love to travel even more than I hate the cold. I may not travel to a place because I love winter, but I haven’t let it stop me either lol! In fact, in just a few weeks I’ll be traveling to Iceland! Frankly, since i live in a tropical country, I don’t experience any of this, including skiing and snowboarding. I would love to try those. My only taste of snow was in Mount Titlis back in 2012, and I felt like a kid rolling in the snow and making a snow angel. It was my first time.